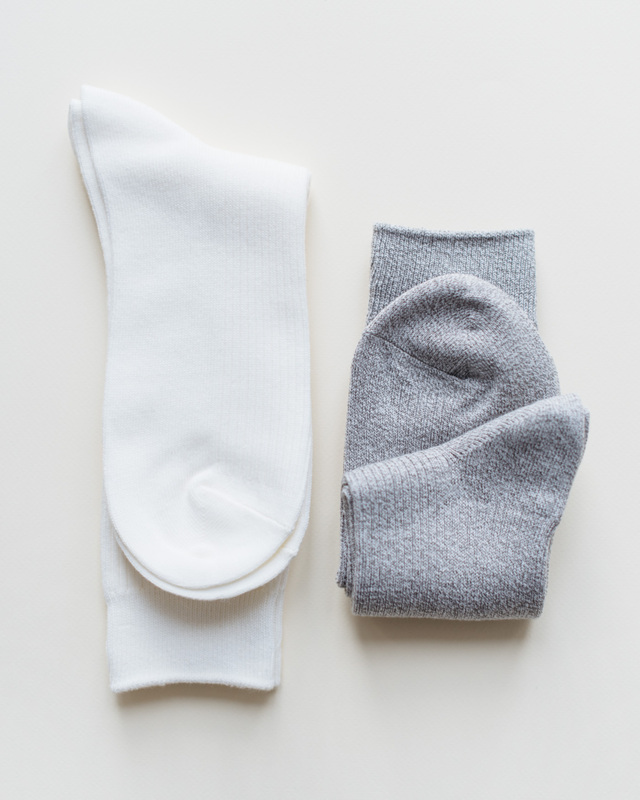 In terms of every day socks you buy in dozens, the best price compared to quality is achieved at Uniqlo. Great color options too. Happy feet as seen in Margaret Howell’s Spring Summer 2014 campaign. Photo by Koto Bolofo, courtesy of Margaret Howell. Your mother knew it and you know it too: taking care of your feet is investing in good health and good life. In the winter time, when I visit my mother, the first thing she still does is that she insists I take off my socks (that she then warms and dries up on a radiator) and put on wool socks. Like most Finns, my mother has plenty of wool socks that guests can borrow. And I get her point totally. I take my socks off the minute I arrive at home. No matter how good quality the material is, socks get cold and moist traveling in winter shoes, on winter streets. Wool and wool mixes, though, feel warm and dry for longer, as wool can hold a lot of moisture before it actually starts to feel moist. If I am in a shoot a full day, I have a spare pair of socks with me that I can change into. The same goes to long flights. As a Christmas gift, socks and chocolate are a classic combination, and with some variations I wrap some up every year. Besides the pleasure of always having high quality pairs around – now who does not? – I think the gift is a symbol of motherly care.